When should I move from a beginner instrument to an intermediate instrument? 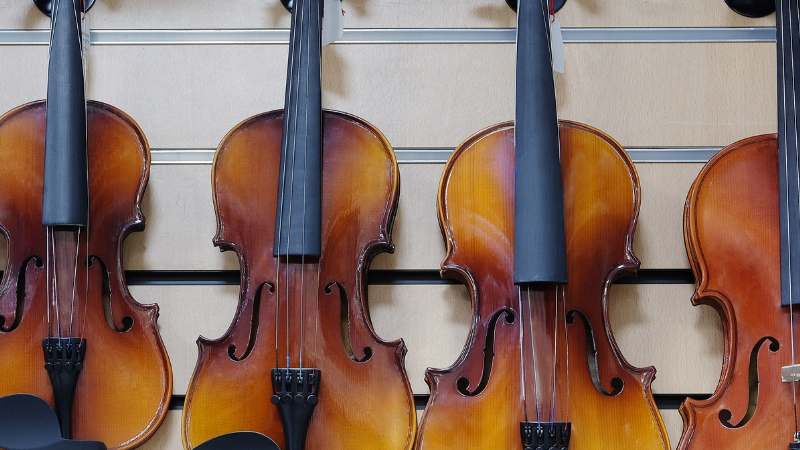 If you have been learning to play an instrument while using a beginner or student model and practicing with it for a quite some time, you may think about upgrading to an intermediate instrument. However, prior to making a purchase, you need to consider some essential aspects. For this purpose, you must take into account the answers to the following questions. Are you ready to upgrade from a beginner to an intermediate instrument? Is it necessary to upgrade at this stage? Would it be beneficial for your performance? Does your music teacher recommend such an upgrade? All these elements have been discussed below for you so that it would be easy for you to make a decision. This question is of great importance, as it determines whether you should purchase an intermediate instrument or continue practicing with your beginner instrument. As a matter of fact, there is no predefined time period to determine when it’s the right time to switch. Nevertheless, it depends largely on your dedication with which you are learning a specific instrument. Your performance gets better as you practice. What you must consider is how well you play the beginner instrument. If you are demonstrating a high level of proficiency, it is a sign that buying an intermediate instrument would not be a futile exercise. Such an upgrade would also serve as a factor to build your confidence and start chasing your pursuit with more enthusiasm. On the contrary, if you are not showing interest in playing your current instrument, upgrading would merely be an unnecessary expense. Dedication is the key to gain required proficiency when playing a particular instrument and if it is missing, there is no point in purchasing an upgrade. In this scenario, you should wait for a while and try to enhance your interest and gain a certain level of proficiency with the beginner instrument. If you are thinking of upgrading the instrument for your child, things may prove to be more confusing. This is so, it may be quite difficult to judge the performance of your own child. Hence, you may need professional advice in this context. Here you can ask your child’s music teacher for a recommendation. In addition, try to evaluate how interested your child is in playing the instrument. Have an open and honest conversation with your child. Ask some simple questions regarding his/her musical development and determine the level of dedication. If your child is interested in another instrument, it would be better to move to that instrument instead of upgrading the current instrument. If this happens, don’t worry about the time and effort your child has invested in learning the instrument. Just keep in mind that your child is finding the right instrument for them, and this might be a learning process for both of you. Even if you are demonstrating dedication and interest, it doesn’t suggest that you actually need a new instrument. In other words, upgrading is only viable in certain circumstances where the quality of performance is not going to improve with the current model. If this is the case, it would be appropriate to invest in buying an upgraded instrument. 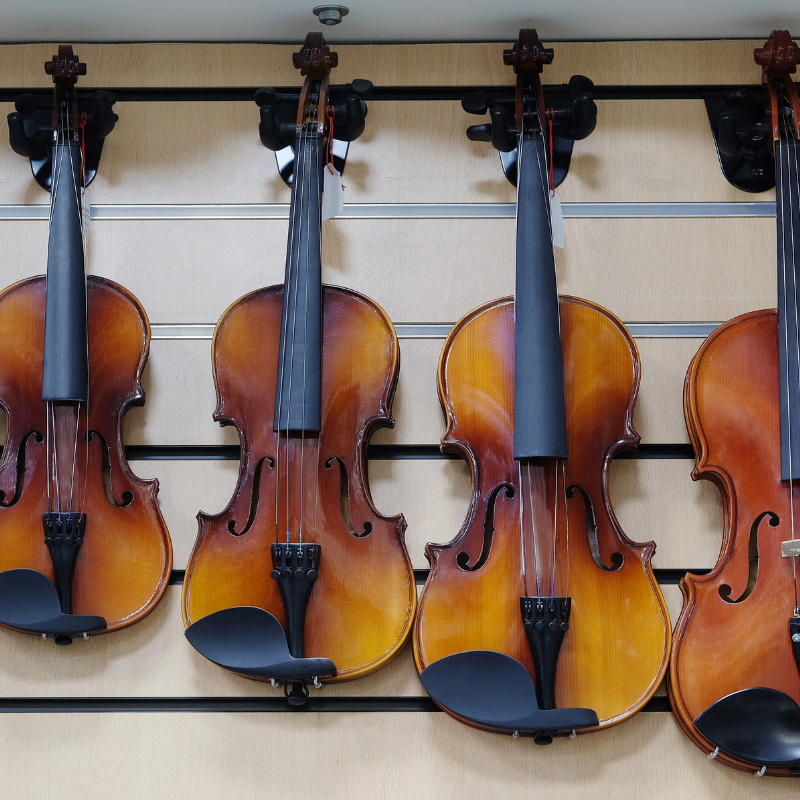 Apart from this, one of the main objects of saving your money by not purchasing a new instrument is the fact that if you decide to learn another instrument, you can utilize the savings to buy that one. Hence, you need to be extra smart while considering the timing of an upgrade. Think about whether it is beneficial to upgrade to a new instrument, or can you practice using the beginner one you already have. An answer to this question would give you an idea as to what are the benefits of such an upgrade would be for you. In other words, it should serve as a way to enhance your proficiency level while practicing with an intermediate instrument. If your current instrument is serving the purpose well and your performance is improving day by day, there is no need to think about the upgrade just yet. In order to ascertain your proficiency, try to play different compositions and see whether your instrument is giving you the room to develop your skills. You should not buy a new instrument without discussing it with your music teacher. Your music teacher understands and knows how well you play the current instrument, and can help guide you when it’s time for an upgrade. If your music teacher thinks that it is unnecessary, consider waiting on an upgrade for now. On the other hand, if he/she believes that you have reached a high enough skill level, and it would be beneficial to upgrade to an intermediate instrument, you can go for an upgrade. Your music teacher is the right person to help you evaluate your abilities and your level of expertise. In addition, you can also get authentic advice with reference to the type of intermediate instrument. Buying an instrument is one thing and buying a specific instrument that suits your playing techniques is another thing. This is the area where your music teacher can give you proper guidance. Such kind of professional assistance would prove to be beneficial for your musical development. By doing so, you can also save a considerable amount of money while spending the right amount for the right instrument. If you have finally decided to purchase an intermediate instrument, the next step is to find one within your particular budget. The cost of a new instrument may vary depending on the build quality, size, and origin. It may cost anywhere between few hundred to a few thousand dollars. If you are badly in need of an upgrade and don’t possess the required money, you can think about the available trade-in options or purchasing a previously owned refurbished instrument. Instruments that have been properly refurbished play very well and are budget friendly. They may help you move into an intermediate instrument without the overwhelming cost of a new instrument. When you start feeling that your beginner instrument is not going to help you gain additional expertise, you are seriously in need of an upgrade. If this is so, it is the right time to switch your beginner instrument with an intermediate one. In order to get your desired instrument, you can consult your music teacher and get some recommendation regarding such a purchase. Consider various factors while upgrading to an intermediate instrument, like whether you are ready for this upgrade, if would be beneficial for your music development, and if your music teacher thinks an upgrade at this time is a good idea. 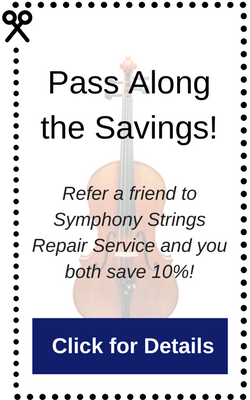 When you are ready for a new instrument, Symphony Strings can help. We offer both new and previously owned instruments at reasonable prices with our Symphony Select Instruments. Check out our available selection today, and contact us for a personal showing of available instruments.